TreeCapitator for Minecraft has been out for a while. 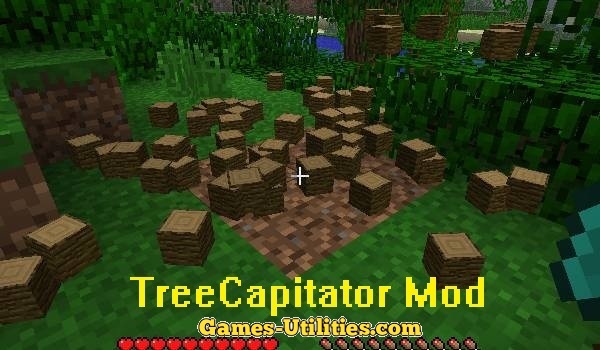 Tree Capitator is a small modification like Timber Mod which helps you gain wood by chopping down whole tree by just cutting a single block except it removes the leaves/branches too. TreeCapitator mods really is really helpful when you’re playing mods like Twilight Forest. • Download and Install ModLoader or Minecraft Forge. • Now, open Start Menu > Run > Type “%appdata%/.minecraft/mods and hit enter. • Download TreeCapitator mod zip file from link above and paste it there. • Download bspkrsCore zip file and paste it there as well. • Mod will be installed. – Config files can be found in .minecraft/config sub-directory.